The Meinl HCS18CH China Cymbal 18" is an 18" china cymbal, with a thin gauge and made from a MS63 brass alloy with a traditional finish. The HCS18CH comes from the Meinl beginners cymbal series. With the HCS cymbals, Meinl is raising the bar for brass cymbals to new levels of quality. The HCS cymbals offer a professional look and great sound characteristics for a great price. All of the HCS cymbals are crafted from a MS63 brass alloy and are perfectly tuned to one another. They are primarily orientated towards beginners, but are also exceptionally suited as practice cymbals for more advanced drummers. 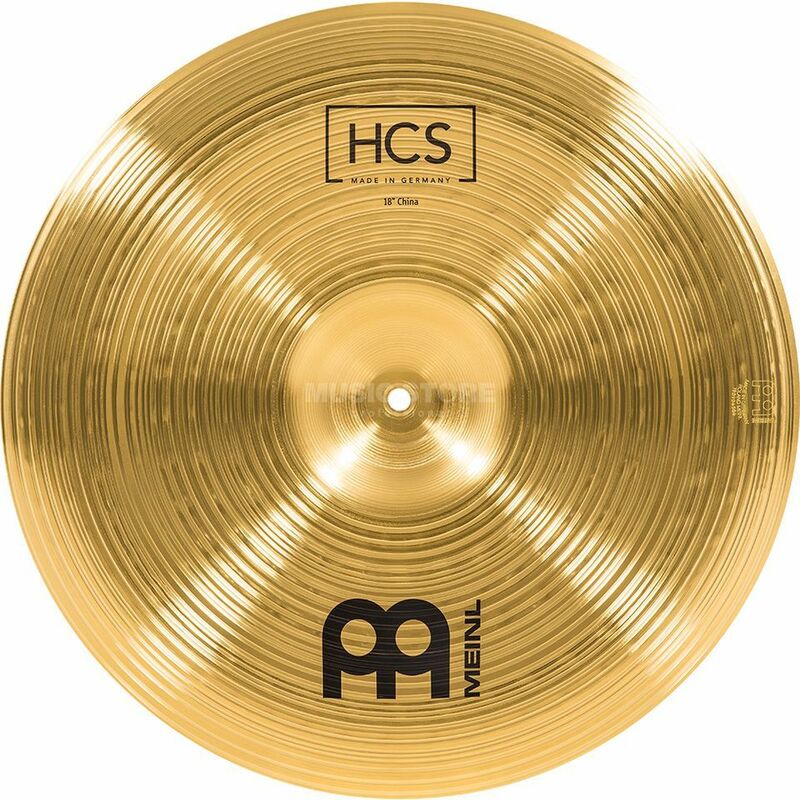 Additionally the HCS cymbals boast a first-class price to performance ratio and are a fantastic value for money. As with most cymbals in the Meinl line-up, the HCS cymbals are made with help from the most modern computer guided production methods in Franconian Gutenstetten, Germany. The result is high-quality metals that promise longevity and enjoyment. This cymbal creates an explosive, brash and bright attack with deep, dark and trashy undertones. ?